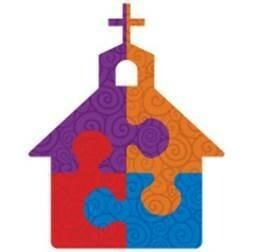 In recognition of April as Autism Awareness Month, a Diocesan Mass of Inclusion for Families with Children on the Autism Spectrum was celebrated April 15th at Holy Saviour Church, Saint Teresa of Calcutta Parish, Collingswood. 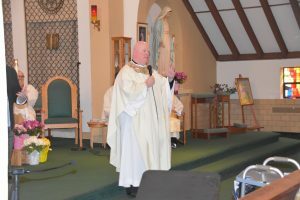 Father Robert Hughes, Vicar General, was the main celebrant with Father Hugh Bradley concelebrating and signing for the congregation. Sister Bonnie McMenamin provided voice interpretation of the readings and Kate Slosar, Co-Director of the Ministry With the Deaf signed the congregation responses for those in attendance. 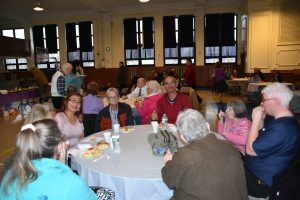 There were about 100 people in attendance and all were invited to a light brunch reception after Mass in McDaid Hall. Holy Saviour celebrates a Mass of Inclusion which is also ASL interpreted, every Sunday at 10:30 a.m, with Father Bradley as celebrant. 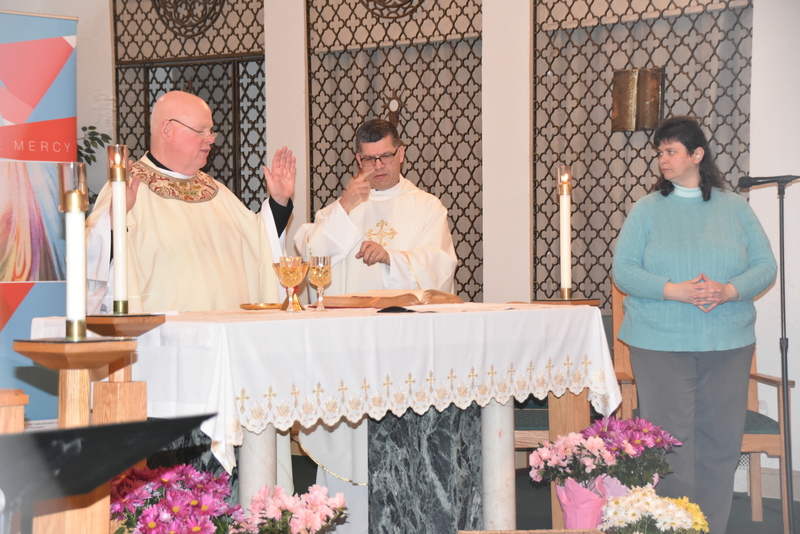 For a complete schedule of Inclusion Masses, go to the Vitality website and check the Ministry With the Deaf and Disabilities page under Parish Activities. As Father Hughes performs the Consecration, as Father Hugh Bradley interprets through sign language for the congregation which was made up of families with children on the autism spectrum and others who were members of the deaf community. After Mass, all were invited to a light brunch reception in McDaid Hall.